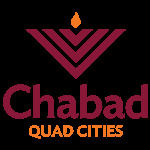 Seder Reservation - Chabad Lubavitch of the Quad Cities. 2285 S Andrews Circle- corner of 18th Street, entrance from 18th Street. I would like to receive notifications in the mail and via email of upcoming Chabad events and programs. Chabad Lubavitch of the Quad Cities wishes you a happy & Kosher Passover!